For many Star Wars fans, the inclusion of Mandalorians in a story automatically makes it more interesting due to the enduring fascination with Boba Fett. The Mandalorian culture has been expanded upon and redefined over the years–thanks in large part to several stories in Star Wars: The Clone Wars, and that trend has continued in Star Wars Rebels with episodes like “Blood Sisters” and “The Protector of Concord Dawn.” This week’s episode, “Imperial Super Commandos” dives back into that particular mythology and gives Rebels’ resident Mandalorian, Sabine Wren, an opportunity to take center stage. “Imperial Super Commandos” serves as something of a sequel to last season’s “The Protector of Concord Dawn” as it picks up the threads of that episode and brings the audience up to speed on what’s been going on with Fenn Rau, the titular character from “Concord Dawn.” My review of that earlier episode was a bit critical in terms of how quickly things came to a conclusion after so much setup, but “Imperial Super Commandos” alleviates much of my misgivings by returning to the setting and the themes of family and loyalty that were first hinted at during season two. In fact, these two episodes feel much like the 1st and 3rd episodes of an arc of The Clone Wars as time has clearly passed, but the shared DNA is undeniable. 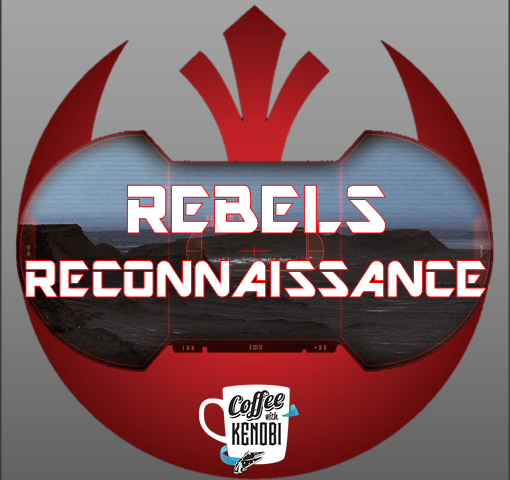 While not evil, another “cousin,” Fenn Rau, provides a foil for Sabine in “Imperial Super Commandos,” as a dichotomy is drawn between the two in terms of loyalty. For Rau, loyalty to Mandalore is paramount and unquestioned, but Sabine’s loyalty is based on the principles of those to whom she ties herself. In short, while the former defines morality based on his allegiances, the latter’s sense of morality determines her allegiances. However, Gar Saxon, the Imperial Viceroy of Mandalore, brings these two differing philosophies into harmony through his cruelty. Originally introduced in the Darth Maul: Son of Dathomir comic series, this former member of Darth Maul’s Shadow Collective has since aligned himself with the Empire in exchange for power and prestige. And in this new position, he has slaughtered the fellow Mandalorians who served under Fenn Rau in order to draw out the Protector of Concord Dawn. The ancient adage that “the enemy of my enemy is my friend” is more than enough to convince Rau to propose a truce with Sabine and help her save Ezra and Chopper (whom Saxon has captured) by securing the Phantom II while Wren frees her incarcerated friends. Even so, it takes a thrilling jetpack escape sequence and a crisis of conscience for Rau for the Lothal rebels to finally escape. Throughout the final act of “Imperial Super Commandos, Sabine acquits herself nicely, from outsmarting Saxon and his men to zooming through a canyon while engaging in a firefight–all with Ezra in tow. Wren even manages to rise above Saxon’s taunts about her own mother and the shame she has supposedly brought to her family by leaving the Imperial Academy. Saxon tries to appeal to Sabine’s sense of honor by remarking that she could’ve worn the same stark white Imperial armor as his men, but this is an absolute miscalculation as Sabine has proven repeatedly her affinity for color and individuality. This sense of self is a trait seemingly shared by most Mandalorians, but Gar Saxon has forgotten his roots. And though he (and Fenn Rau initially) believe the same can be said of Sabine Wren, the truth is that the Mandalorian code of honor is alive and well in Sabine–even if it’s not readily apparent to the traditionalists among her people. In the end, Fenn Rau does come to this understanding and pledges his loyalty to the rebellion. Indeed the Empire is powerful, but its tactics of quashing all originality and personal distinction have made fighting against its power a necessity for those who treasure those values. Moving forward, it will be fascinating to see exactly how Phoenix Squadron benefits from the doubling of its Mandalorian population and what role both Gar Saxon and Sabine’s mother will play in Sabine Wren’s story.